Thanks for your overwhelming concern for my lovenorexia. My craving is slowly returning but my appetite is not. I explained in my personal blog that it is because every time I see food, it reminds me of Fat Cheek’s extended conversation on food. What to do? Singaporeans mah, go out dating only can talk about food. So I see food, I think of him, then I don’t feel like eating anymore. I wanted to eat the Oyster Cake at Maxwell but it was closed and serendipitously, just opposite the Oyster Cake Stall is Joy Feast Beef Noodles. Woah, it was a pleasant surprise because I didn’t think it would be nice. No queue, not famous. The soup had a mild herbal taste, not too overwhelming. Quite delicious. I finished it. And the ingredients were very ample ($4/$5/$6, this is the $5) although the beef wasn’t tender. The salted vegetable as condiment is a winner, contrasting the herbal soup. 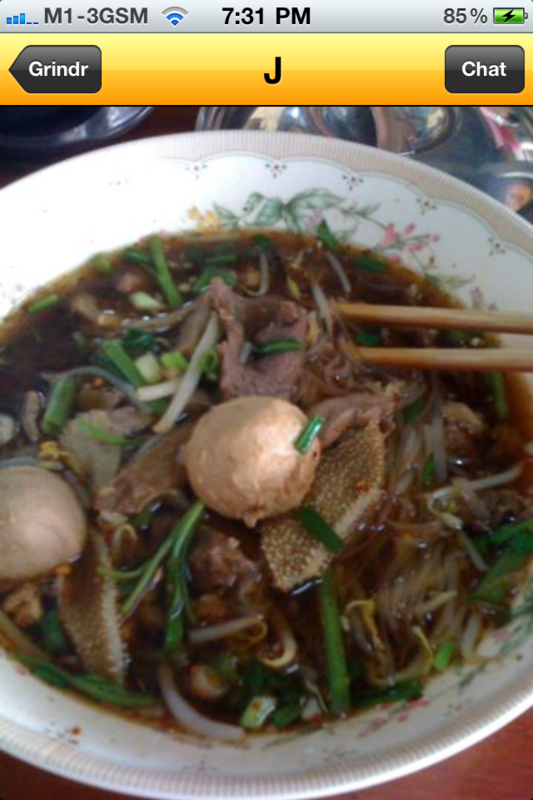 I finished the beef but only finished half a bowl of kway tiao. Then my tears added salt to the soup… KIDDING. You think I’m 14 year old emo “girl”? 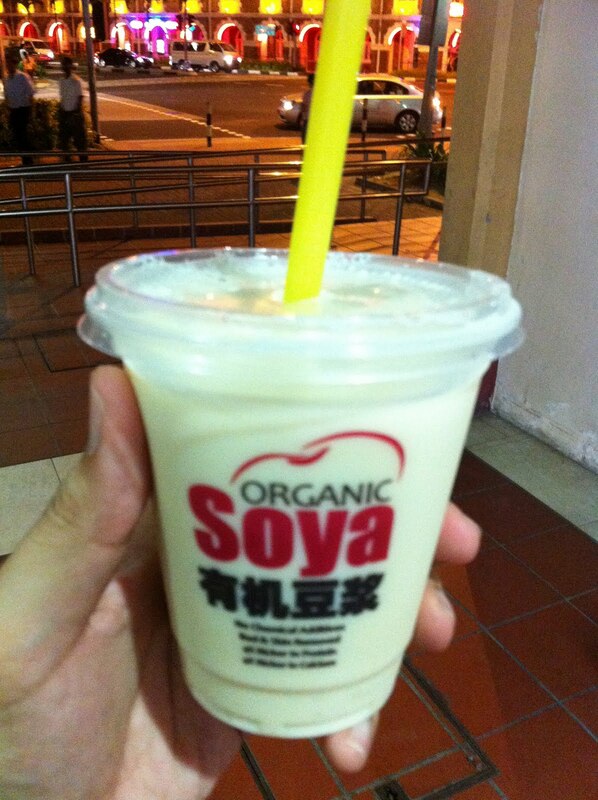 Besides the Oyster Cake, another thing I would always eat when I go to Maxwell is organic soya bean from Bean in a Cup. I love organic food because organic not only means that the food has no chemicals, it also means a responsibility and fair trade to the farmers. I love Bean in a Cup because you can actually taste the soy bean. There is a choice of no sugar, less sugar, or normal. I always take the less sugar one because I’m gay enough to count my calories and not gay enough to go sugar-free. The aunties told me that they use “malt sugar” because “it’s healthier.” I’m not so sure I understand the logic because sugar/glucose is sugar/glucose; it still enters the body. I usually take the birds nest soya bean ($8.50); they really emptied one can of birds nest into the drink. I saw them do it. It’s extravagant but I go there about once a month only so it’s fine. And Fann Wong eats a teaspoon of birds nest everyday ok? I want to be as fair as her.